The Loss Control team consults, trains, and performs physical inspections. We do these things to help keep people safe, protect property, reduce liability, and avoid insurance pitfalls. We work with Risk Coordinators, HR professionals, and leadership from State Agencies, State Public Higher Education, School Districts, and many Charter Schools. Meet the Team. What Makes a Great Risk Coordinator? A Great Risk Coordinator is Knowledgeable. Knowledge is acquired through study and experience. As a state employee, Risk Management helps you by providing educational opportunities such as Symposiums and Online Training. Be knowledgeable by taking action. Simply recognizing a risk and addressing the issue can prevent injury and damage. Take every opportunity you can to learn more and reduce risks within your organization. A Great Risk Coordinator is Resourceful. While you may possess many skills and tools, it is unlikely that you will ever be an expert in everything. That is why using available resources is a must. Knowing who to talk to and being able to find answers is critical. Risk Management has experts on staff to help you. Don't be afraid to work with others. Reach out to your leadership, HR team, or counsel whenever needed. See our FAQ page for help resolving the most common questions we get. Never stop at "I don't know". A Great Risk Coordinator is Proactive. Being proactive is taking charge and getting ahead of the problem. It starts with recognizing one risk at a time and addressing it. One tool is the Self-Inspection Survey. It is a great place to start and can help identify risks and damage within your buildings. Risks are rarely static. They grow and if not fixed will lead to more problems. Fixing a small leak is much easier than cleaning up after a flood. Risk Coordinators often have to report claims to us. Please be ready to explain known information about the loss, such as: what, when, where, and who. Our claims adjusters will investigate and when needed, will ask you for help to obtain certain things, such as photos. Click here to access the claims page. Click the button when you think you know the answer. 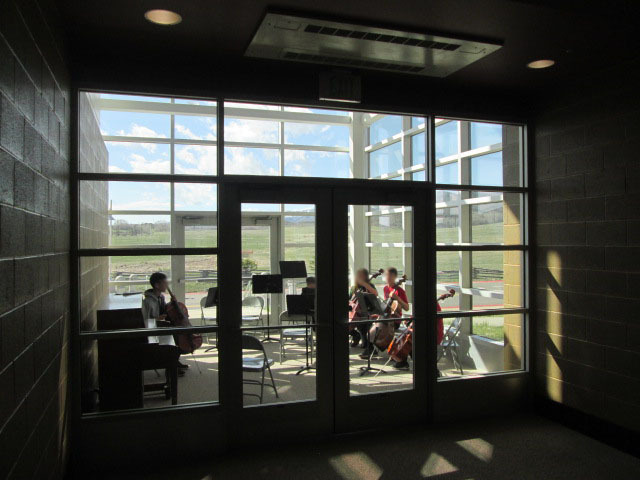 This orchestra group has set up a practice in an emergency exit pathway. In the event of an emergency this could block the exit doors and cost lives.